Secondary characters have always been treated well by the Whedonverse. The shows may focus around a central character like Buffy or Angel, but the other characters have importance and we care about them. Even secondary characters only seen in a single episode have a depth or mystery about them that intrigues the viewer. In fact, many of the major characters on Buffy the Vampire Slayer started out as secondary characters. Spike, Anya, Tara, Warren, and Jonathan all lived well past their intended shelf lives and enriched our television experience. So obviously, secondary characters are very important to the overall show. Likewise, these characters are invaluable to Angel Between the Lines (ABTL). The writers have taken some characters that received very little screen time in the original “Angel” series and have given them a story of their own, fleshing out the character that the fans never really got to know. “My character is in one memorable scene in the first season of Angel a very funny scene, which we have to reenact. But it’s so interesting that the writers took that character and developed him fully. Hawkins was just a sleazy Wolfram and Hart lawyer and now he has a back story and you find out what he had been through since that moment,” said Robin Burdge. Along with some original characters, ABTL is also including some characters that were only seen a few times in supporting roles and giving them stories of their own. There are a lot of characters the ABTL cast and crew hope to see return, David Nabbit seems to be a clear favorite. “As far as a secondary character I’d love to see once again, if only for a short while, is David Nabbit from “Angel.” Where the hell did that guy go?” said Peter. Lucky for them, David Nabbit has been confirmed for ABTL, as well as Gwen Raiden. It is hard to argue that without secondary characters, the Whedonverse would be lacking greatly. They have enriched our television screens, comic books, and now our podcasts. 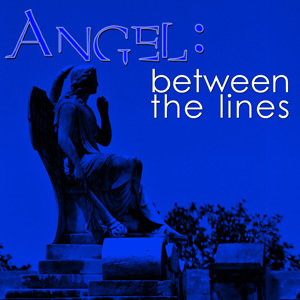 Who knows what character the writers at Between the Lines Productions will resurrect next?